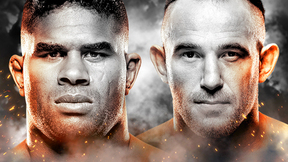 Two world titles will be on the line for the first time in 2010 when the Ultimate Fighting Championship returns to the East coast. UFC welterweight champion Georges St-Pierre has been unstoppable since regaining the title in 2008, and he aims on extending his reign and his six fight winning streak against British bomber Dan “The Outlaw” Hardy, who is unbeaten in the UFC. 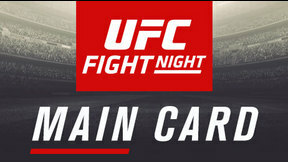 Also, former two-time heavyweight champion Frank Mir will attempt to make history when he squares off against number one contender Shane Carwin in a clash of the titans that will leave the winner with the interim UFC heavyweight championship belt. Georges St-Pierre vs. Dan Hardy UFC 111 Sat, Mar 27, 2010 (44:15) UK's Dan "The Outlaw" Hardy, who was riding a four fight win streak, took on the Canadian phenom Georges St-Pierre. 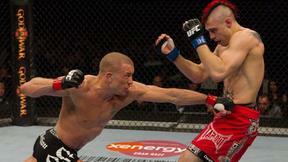 Could he bring an end to "Rush" St-Pierre's own six fight winning streak? Shane Carwin vs. Frank Mir UFC 111 Sat, Mar 27, 2010 (16:25) Former two-time heavyweight champion Frank Mir attempted to make history when he squared off against number one contender Shane Carwin in a clash of the titans that would leave the winner with the interim belt. Kurt Pellegrino vs. Fabricio Camoes UFC 111 Sat, Mar 27, 2010 (19:11) Brazil’s Fabricio Camoes showed no sign of the first-time UFC jitters last November when he went tooth and nail with Japanese legend Caol Uno for 3 rounds. He now faces Kurt Pellegrino, native of Point Pleasant, NJ and one the state's finest wrestlers. Jon Fitch vs. Ben Saunders UFC 111 Sat, Mar 27, 2010 (24:51) Ben Saunders has reworked his game after falling short on season 6 of The Ultimate Fighter and his hard work is paying off with an impressive 4-1 record and a chance to make a giant leap by taking a last minute fight against the dominant force of Jon Fitch. Jim Miller vs. Mark Bocek UFC 111 Sat, Mar 27, 2010 (25:16) Over the last year, Jim Miller and Mark Bocek made their moves from prospect to contender with victories that left no doubts when it came to their talent. 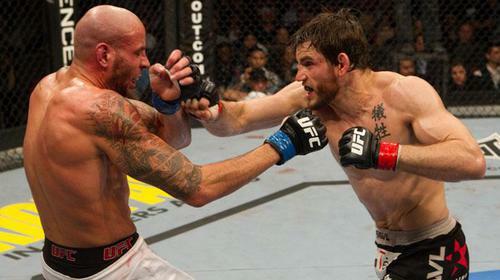 In this bout, each will put his 3 fight unbeaten streak on the line in a pivotal 155-pound showdown. Nate Diaz vs. Rory Markham UFC 111 Sat, Mar 27, 2010 (8:08) Rory Markham’s fights rarely went the distance, and in the end, he was usually the one with his hand raised, but Nate Diaz had made his mark against the best in the UFC, and he entered the Octagon determined to show why he was the pride of Stockton. Ricardo Almeida vs. Matt Brown UFC 111 Sat, Mar 27, 2010 (15:31) One of the division's fiercest competitors, Matt Brown isn't one for talk - he lets his fighting speak for him, and with 3 consecutive wins he's looking at Ricardo Almeida of Hamilton, NJ, whose wins over Yundt, Horwich, and Grove attest to his skill. 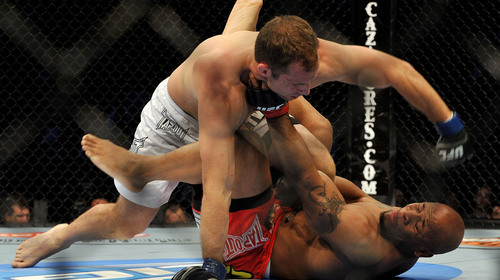 Rousimar Palhares vs. Tomasz Drwal UFC 111 Sat, Mar 27, 2010 (11:29) Long seen as one of the sport’s most underrated practitioners, Tomasz Drwal had a breakthrough in 2009 with 3 spectacular finishes at 185 pounds. Owner of a quiet tenacity and a world-class ground game Rousimar Palhares looks for yet another victory. Jared Hamman vs. Rodney Wallace UFC 111 Sat, Mar 27, 2010 (26:55) Two fighters who suffered losses in their first UFC bouts, square off in a light heavyweight match. 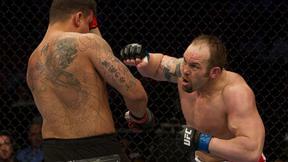 Rodney Wallace and Jared Hamman will be desperate for a win, so expect the frantic nature to produce an exciting fight. Matthew Riddle vs. Greg Soto UFC 111 Wed, Mar 16, 2011 (24:11) UFC rookie Greg Soto won’t have to travel far to make his debut. The New Jersey native takes on Matthew Riddle at the Prudential Center in Newark. 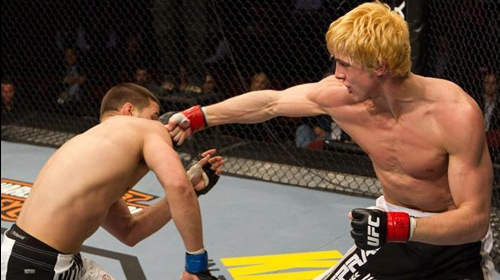 Riddle began his UFC career on the 7th season of TUF and has been with the organization since.